Home » The Truth about Mustangs (and M3s), as we’ve experienced it. The Truth about Mustangs (and M3s), as we’ve experienced it. Yesterday we instructed at the Circuit of the Americas. 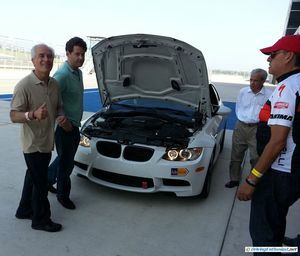 A group from Mexico had rented COTA for a day and it was our job to teach them the track as well as to certify some of them as instructors for their own events back home. All 40 students had some degree of experience, ranging from several HPDE-type drivers up to a couple of professional race drivers. The entire group was terrific, and we were very impressed that the members respected the track but also consistently drove aggressively and safely right from the start. And without a single incident on the wide-open track and with lap timing and passing anywhere. You couldn’t ask for a better group of students, and the organizer, Edge Addicts, did their usual highly professional and very thorough job. The picture shows one of our students with his E92 V-8 M3 (tan shirt). He also brought a twin-turbo V-8 M5 that he shared with his son (not in this picture). Our work with the two of them in the M3 brings to mind a comparison to our own 2013 Boss 302 Mustang – a car that was designed by Ford to compete with the M3 on the track. We compared the speeds of each at the same points on COTA: the M3 was just a little slower (-5 MPH at the end of the back straight). On any given track it would be faster or slower depending on the track… but overall the M3 is superior to the Boss 302 because it’s far more polished. For example, it isn’t on the ragged edge of running too hot despite a 100 degree day and a track that requires aggressive driving (and braking). There’s never an issue with the modern M3, as there always is with this and all of our previous Mustangs. The biggest advantage of the M3 is its suspension design. It’s so superior to the Mustang that this is the car you’d want to drive on the track. It’s very stable, the IRS is actively working for you and with you. The experienced driver can use the characteristics of an IRS to help rotate the car through the turns. Here’s the Car and Driver introductory road test for your reference, and a second test from 2012. By contrast, the Mustang’s suspension always works against you in the turns: it inherently tries to shift its massive unsprung weight in the wrong direction in the turns, only tentatively held in check by a single brace. Shifting to the right, to the left, and up. It’s asymmetric in design and especially in response. The old-fashioned “solid axle” architecture is cheap, crude, and severely outdated. It feels like you are dragging a great weight behind the car, and it hips, skips, and jumps on rough pavement and in turns. The net result is an all-too-typical Ford: a great motor and a poor suspension. We’ve been there so many times over the years. In between sessions on the track, we were visualizing the differences and replaying our laps in the M3 versus laps in our own Mustang. And, yes, we’ve driven many examples of M3s of all generations on several tracks. To be fair, the E92 M3 is not perfect: the brakes (astoundingly, single piston calipers) are inadequate and the engine – while highly tuned – has little torque and miserable gas mileage. But then there is the 7 speed double-clutch transmission – it’s awesome (even though in North America we get watered down tuning of it) although it took a couple of years of continuous development to get it right (and the aftermarket can update the transmission tuning to Euro specs). The 2015 next-generation M3 & M4 fixes all of these issues, while raising the price even higher compared to the Mustang. And that is a strength of the Mustang: cost effectiveness. It has some of the needed performance elements even if they aren’t very well polished (or last very long). With the Mustang you get what you pay for, and when any one cheap element inevitably lets you down then the entire car fails. For example, while the brakes are better than in the M3, they are still too small and could be much better for a braking-intensive track such as COTA. At the end of the back straight, at 140 MPH, it takes 100% of the brakes to slow sufficiently to make the left-hand – and very tight – turn (and this with race pads and very large brake cooling ducts). The car has another 5 MPH in it (and another 5 if only the transmission would shift into 5th without binding), but not with these brakes. And even then, the Mustang brakes heavily nose-down with its tail up in the air. Another fail. 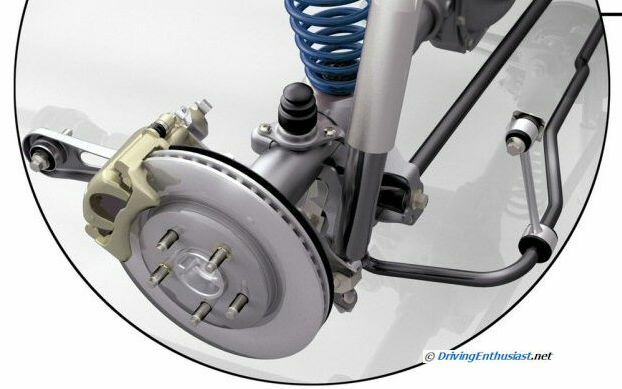 It’s great to see that the next generation Mustang addresses so many of these areas, with an entirely new suspension front and rear, and improved brakes. But the bar has already been raised in the market (and will be raised again by the upcoming 2016 Camaro), and our past experience with Mustangs suggests that this new generation will probably fall short after about a year of celebration in the “popular” press. We’d like to see that popular press take of their marketing hats and live with all three of these cars at speed over a COTA weekend. So that’s the Truth about Mustangs (and M3s), as we’ve experienced it. Presentation at Cobb Tuning: What is HPDE?